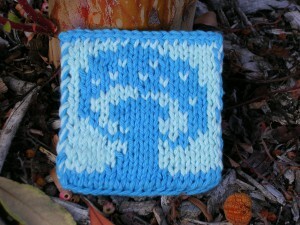 A cute as a button – Smurf mushroom coaster! 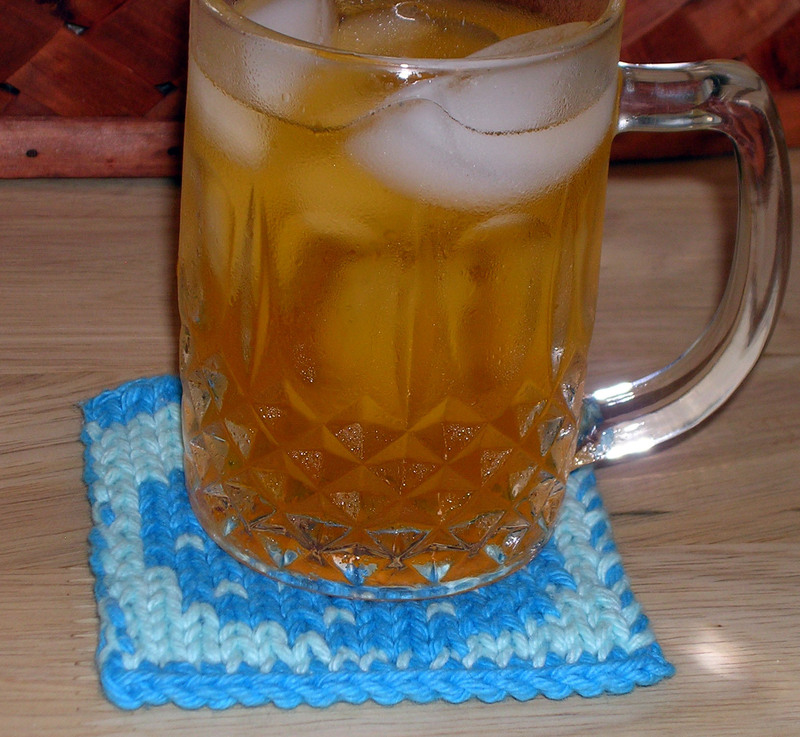 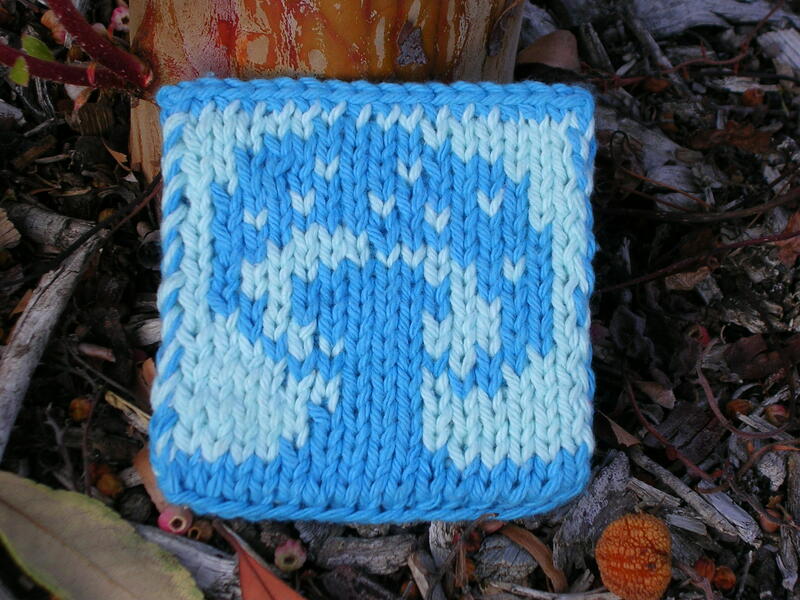 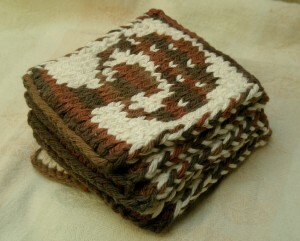 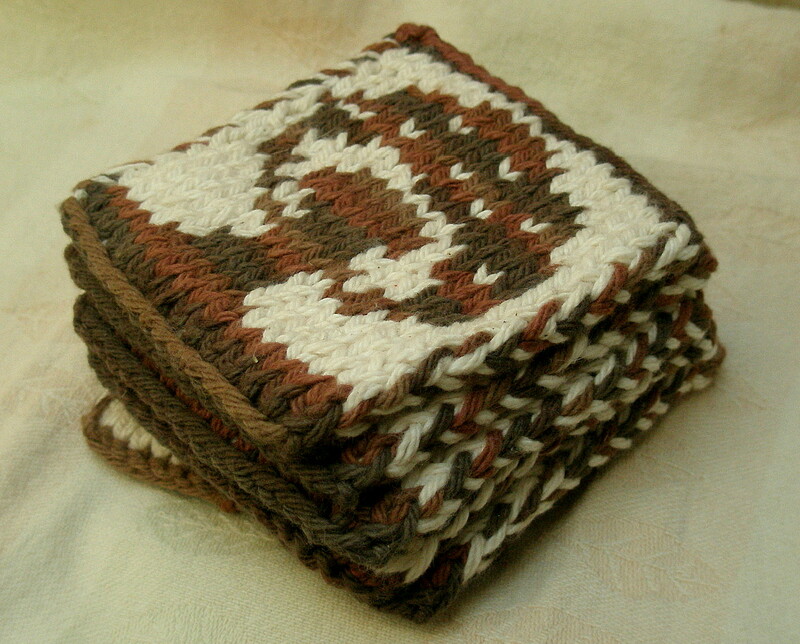 This is a free pattern…for trying out double knitting techniques, using left over yarn or just because you want some coasters. When I first starting making coasters was because I use them at my desk (which I refinished myself) and the freebie cardboard one’s my brother got for me a bar were worn and warping. Plus it was a great way for me to try out color combos. 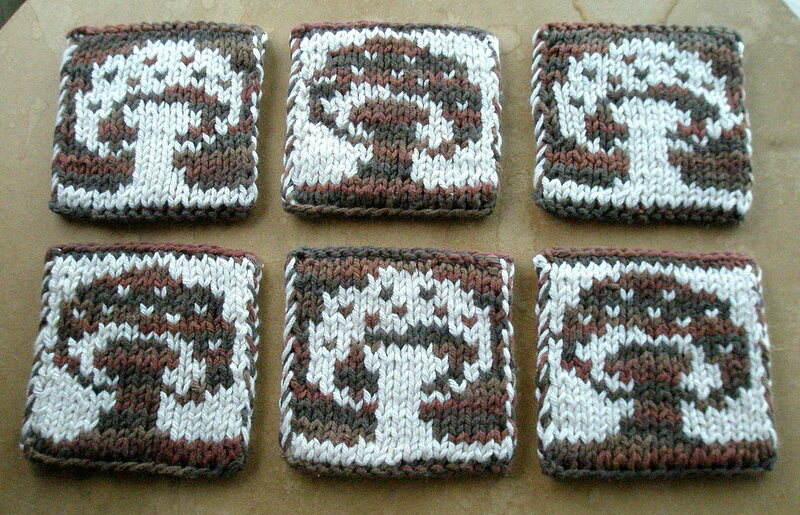 My first mushroom coaster was a flop, with 2 ombre colors which were too close in color and the mushroom pattern was too ‘camouflaged’. 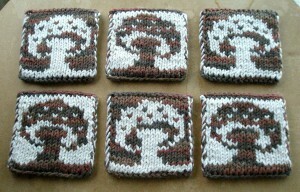 Overall, too embarrassing to post anywhere. 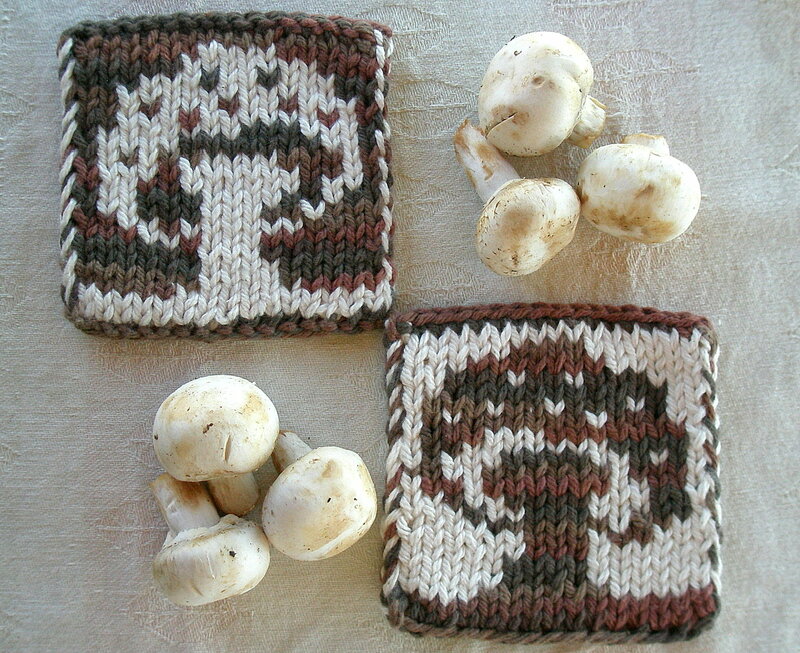 When my new friend from Ravelry, tanja39, was interested in making a potholder,but had never tried double knitting I offered her the mushroom coaster pattern, to practice on. Â Well she pushed ahead and has made 2 potholders and a whole set of mushroom coasters. 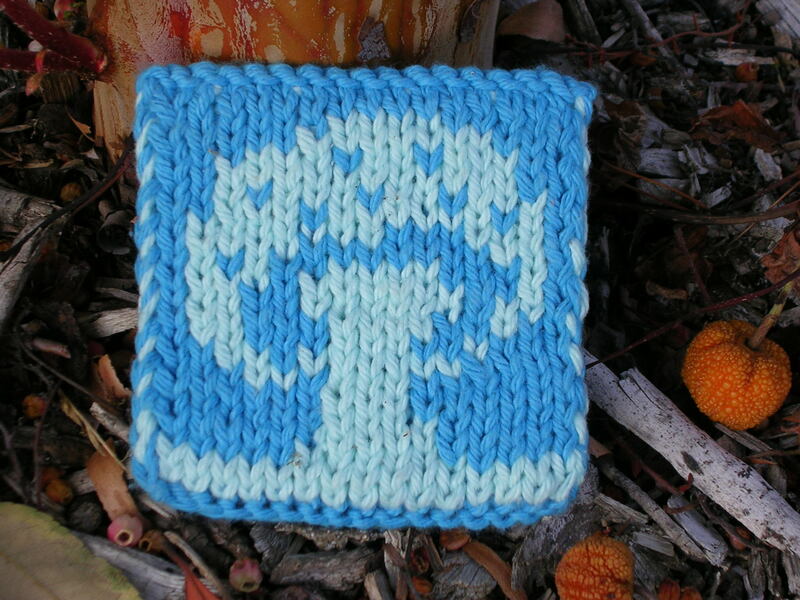 Tanja39 wanted to post her latest coaster accomplishments on Ravelry and I hadn’t made the pattern yet, hence the need to knit up another one (for the pattern write-up), so why not some fun, wacky colors…hence the smurf mushroom was born.